This unique piece will have you squirming in your seat. 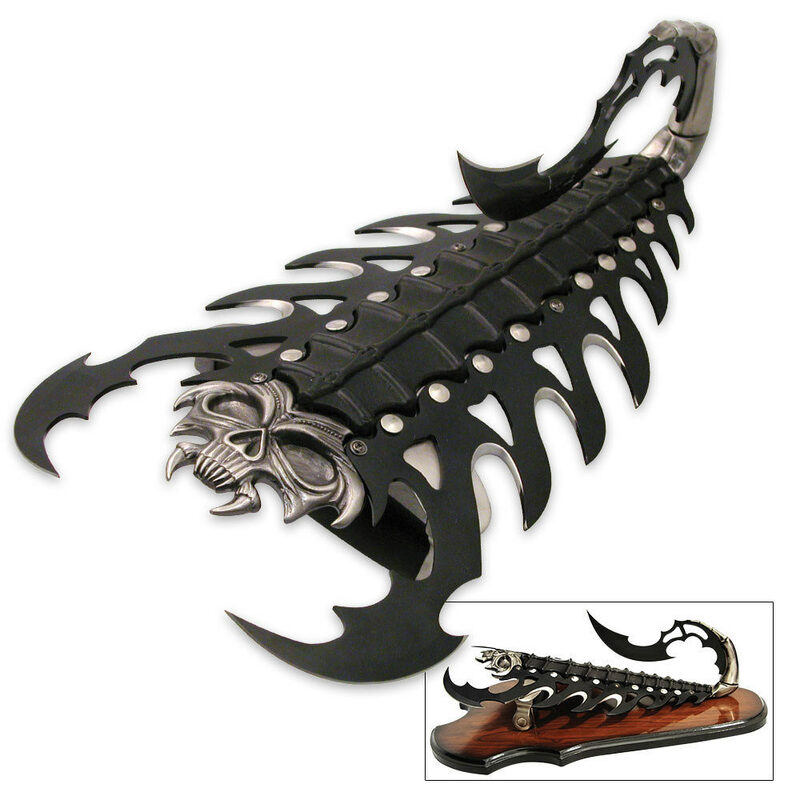 Solid cast metal constuction designed to mirror an oversized scorpion. By gripping the metal handle, you are equipped with a piercing blade extending from his tail and two extending razor sharp blades. Stretches 14" overall and includes display plaque. A pretty unique item. I didn't know the tail screwed on, but once in place, it doesn't move. Very sturdy piece. Nice plaque to hang it on. Very sharp tail and pinchers. I bought this as a gift, but couldn't help taking it out of the box and playing with it first. It lookes as sick as it does in the photos. Very intimidating and insanely awesome. It could use a strap in the rear to stablize it. 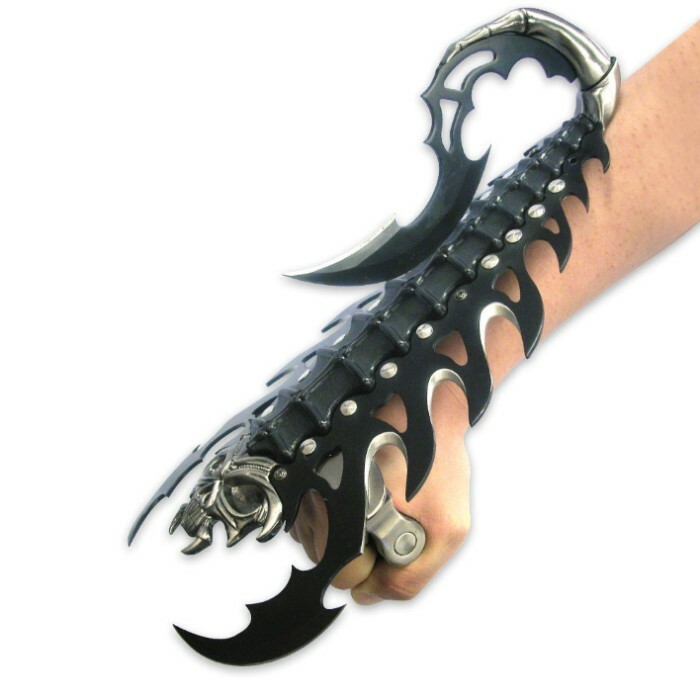 Holding it in your hand it slides and with all the sharp points you'll get a scrap or two if your not careful. I recommend this to anyone thinking about buying it. The person I bought it for loved it. I will be buying a second for myself very soon.